People think that because I’m a Pilates instructor, I spend my days from morning till night working out. Wrong. Although I demonstrate things here and there, I actually spend most of my time watching my clients to make sure they’re moving well. I love taking the time to work my own body. It makes me feel strong and energized. However, it’s sometimes tough finding a one to two hour block to dedicate to my own workout. I find that 10-15 mins before or between clients is a great alternative to not doing any movement. Other than doing something healthy for myself, another little perk is that as I move and play, I think of new exercise variations and revive movements that have been out of sight and out of mind for a while. Here are a few things I consider when doing my own mini-workouts. I listen to my body. I do what feels good and what my body’s asking for that day. Sometimes I need simple, basic exercises and other days I need to jump right into the big stuff. I transition quickly. When I only have a short period of time, I want to make the most of it. Quicker transitions means more time to work on me. I often choose Pilates equipment or apparatus over Mat Work. 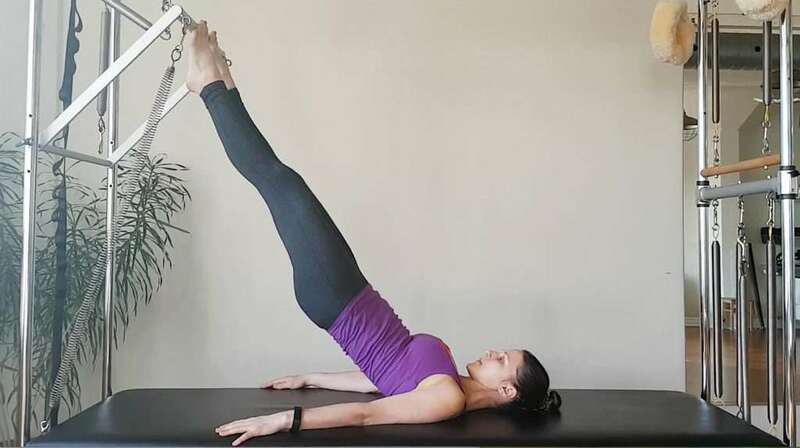 The resistance of Pilates equipment helps me feel stronger faster – it’s a preference my body has. Pay attention to what you prefer and do what works for you. Here’s a sample sequence I did this morning using the Pilates Cadillac to wake myself up this morning. I took me just over 10 mins, but I wish I would have taken more time and done a few more reps of each – I think it would be a great 15 min sequence. I’ve written it down below and sped it up on the video. I hope you enjoy and it inspires you to get moving a bit more today! If you have any favourite exercises or sequences you like to do, please share in the comments section at the bottom of the article.